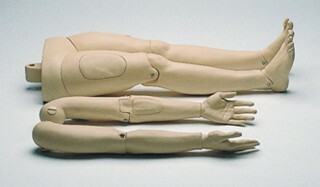 Equip your Resusci Anne Torso Model with basic hard articulated arms and legs. Allows training of rescue and extrication techniques combined with CPR or CPR-D. Simple arm and leg attachments. No tools are needed.